TOUCH Magazine - our beautiful full-colour quarterly magazine filled with Reiki stories, news and public practice tips and our regular featured artists from across the globe. Contributions from members are welcome. Every aspect of the magazine is created using Reiki and stunningly designed to serve our members both in the UK and further afield. Quarterly Newsletter - communication from Council with regular updates on new initiatives and membership matters. Also contains contact details for key people and a list of Reiki Sharing Groups around the UK. Website - in addition to information about Reiki and the Association our website offers an interactive members-only section where members can safely connect with other members to exchange ideas, discuss Reiki questions, receive support, let other people know about what you are offering, find out who else lives near and about local Reiki shares and more. International connections are also fostered through our Facebook page. Free and Classified Advertising - on our web sites and in Touch magazine. Annual Gathering - once a year at least we get together to share our Reiki experiences, exchange Reiki treatments, spend time together in Reiki connection and deepen our understanding of this healing art. Guest speakers are frequently invited to share their experience and wisdom. Workshops and Events - Other opportunities to meet and network with other members, generally in smaller groups, exchange Reiki treatments, receive support as practitioners and benefit from shared ideas and training. Webinars -Monthly webinars are held online normally on the <b>first Tuesday of the month</b> and an invitation to register for each one is sent out by email to members. Details of the next webinars can be found on Events and the Council Blog – What’s Happening. 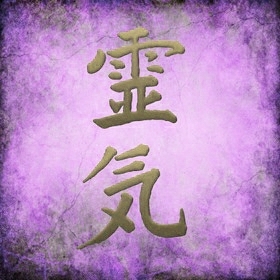 The webinars are designed to foster community and support the public and professional practice of Reiki. Some webinars are general discussions on topics of interest to all members. The prepaid CPD webinars are designed to allow members an educational opportunity for which they can claim CPD hours and receive a CPD certificate. Links to past webinars and CPD certificates are available on payment of a small fee. The Reiki Care Service - offers distant Reiki treatment from a group of volunteers for the benefit of members and their families and personal friends in difficult times. It also offers members an opportunity to give support to others by volunteering to do distant treatments. Circle of Service - members who volunteer to hold a role that supports the smooth running of TRA and its services. An opportunity to become actively involved in the community. Reiki Outreach International - founded to focus distant Reiki to troubled situations in the world and held for The Reiki Association for many years by Soyin Tang. Members can volunteer to send Reiki to any given situation, which is changed regularly. Bursary - if you are finding the membership fee, or attending one of our events, too expensive, you may apply for a bursary, these are mainly funded by donations from other members. The Reiki Directory - members can advertise that they offer treatments and/or Reiki classes (for masters) on our website. APEL for Professional Practitioners - [but see notes below re this section] Our support for members in professional practice includes accreditation of prior education and learning. If you are already offering Reiki treatments to the public and wish to have your experience recognised you can apply for verification. Successful candidates are awarded a one-off certificate in partnership with the Reiki Council and will be entitled to an annual Reiki Association membership Certificate as well as use the Association's Practitioner's Logo on their website and literature (subject to current membership and insurance being in place). Reiki Council Membership - The Reiki Association is a member of the Reiki Council, lead body for Reiki practitioners in the UK, thereby keeping up to date with developments that affect practitioners and participating in the development of standards. Leaflets - our beautifully designed leaflets are available for members to buy. The wording follows the advice of CAP (Committee of Advertising Practice) and therefore Reiki practitioners using it, are unlikely to have problems with the ASA (Advertising Standards Authority). Practitioner Insurance - we have negotiated a favourable discounted insurance for Reiki practitioner members with Balens Limited for those in public practice. Other modalities can be added at a small extra cost. Lineage Tracing - some Reiki students have not been given their lineage and as this is a requirement for CNHC registration we offer a service of advice or assistance in finding Reiki lineages. Reiki Connections Phoneline - for members who prefer the telephone, rather than the internet, as a means of connecting with our community we offer a special phoneline where you can chat and be put in touch with other members. Please note that some services such as advertising in the public directories incur a charge to offset costs.